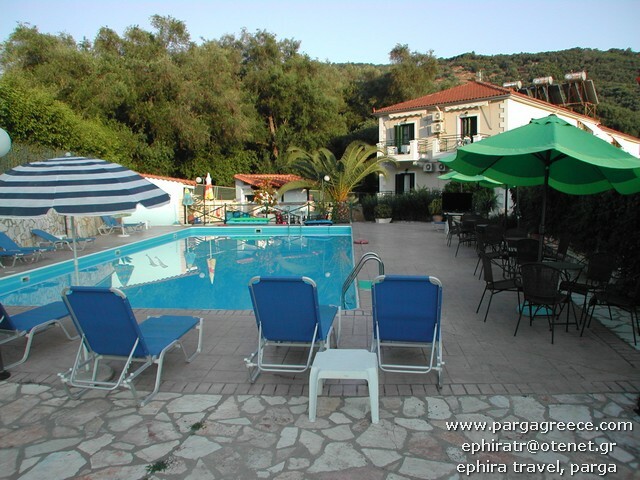 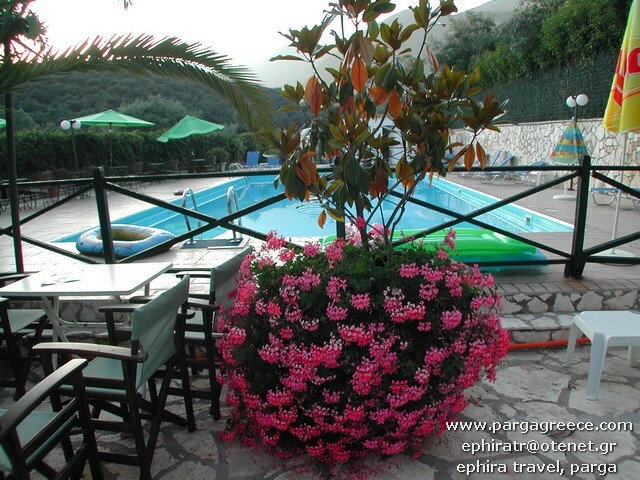 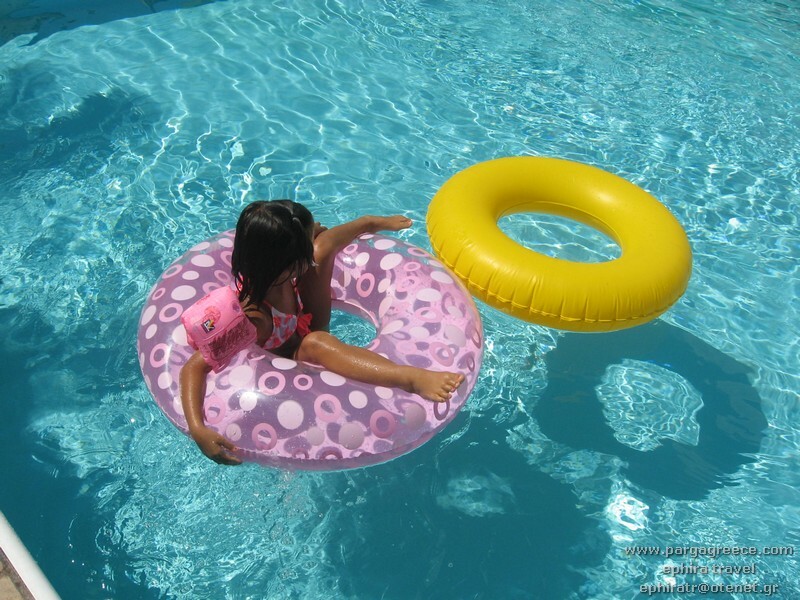 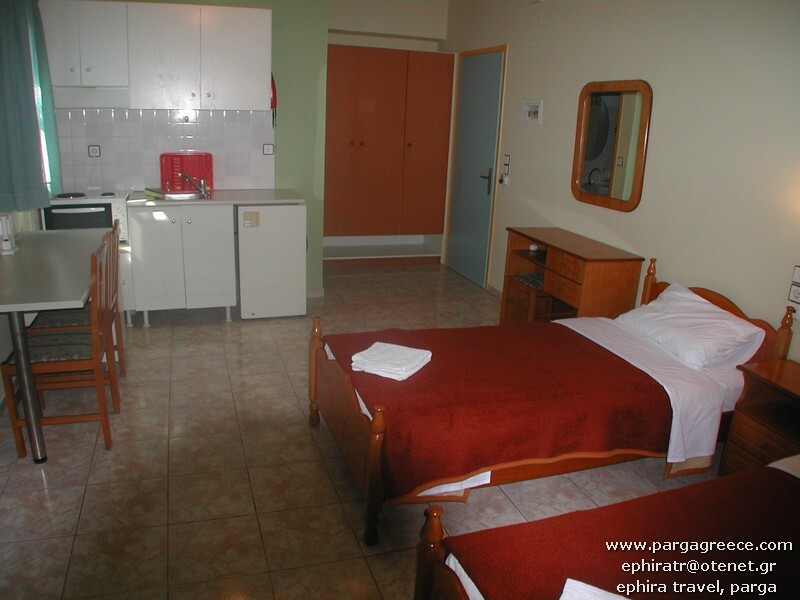 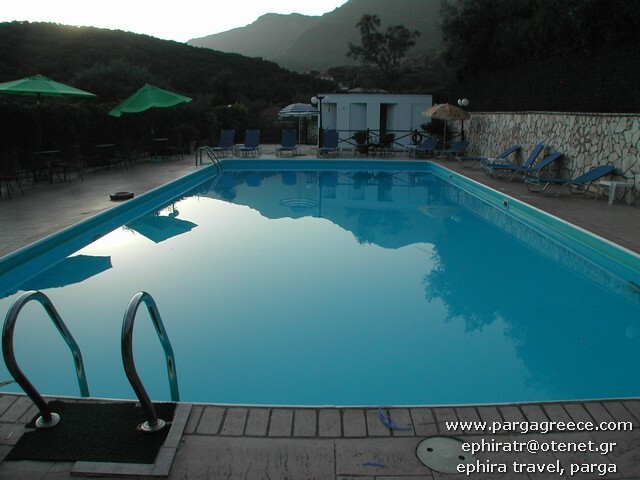 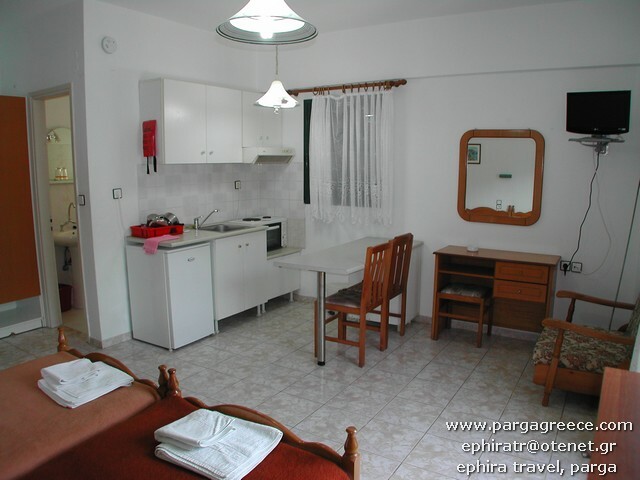 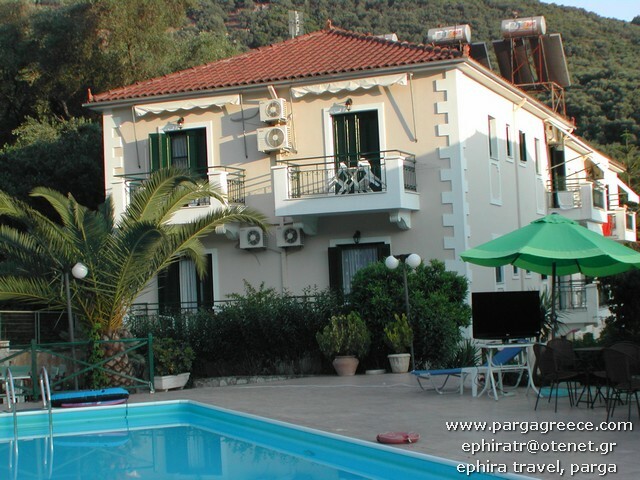 NO 99-SMALL FAMILY HOTELAPART WITH STUDIOS WITH SWIMMING POOL IN QUIET AREA (GOOD VALUE)-PARGA. 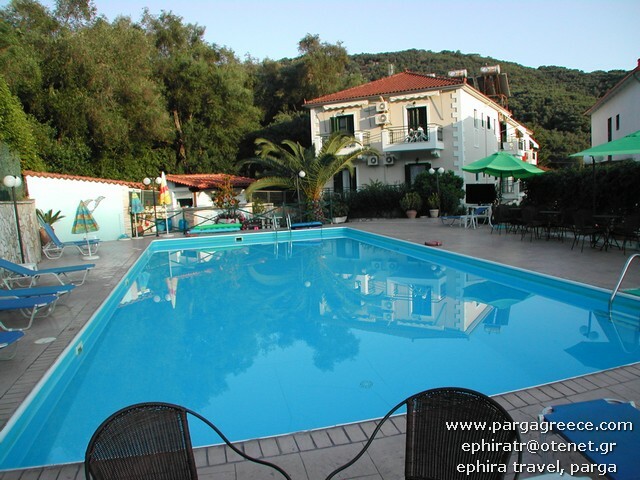 Distance from the center 650 m.
Distance from the beach 500 m.
Surrounded by lush fertile Olive groves,this nice and family resort with swimming pool , is ideal situated in a quiet spot in Parga and only a few minute walking distance from the centre of Parga and the beaches (Kryoneri beach and Piso Kryoneri). 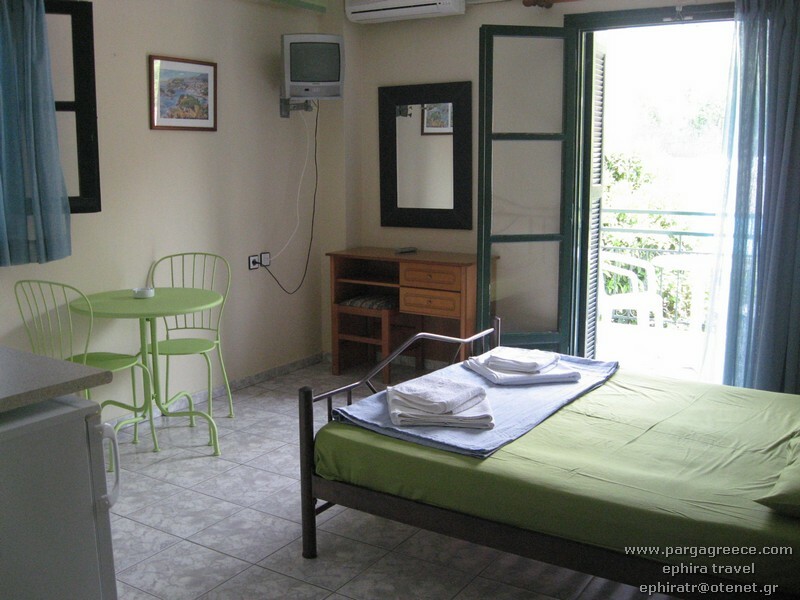 All Studios,are bright , spacious and well equipped and offer kitchenette, private bathroom ,air-conditioning, television, safe box and private balconies. 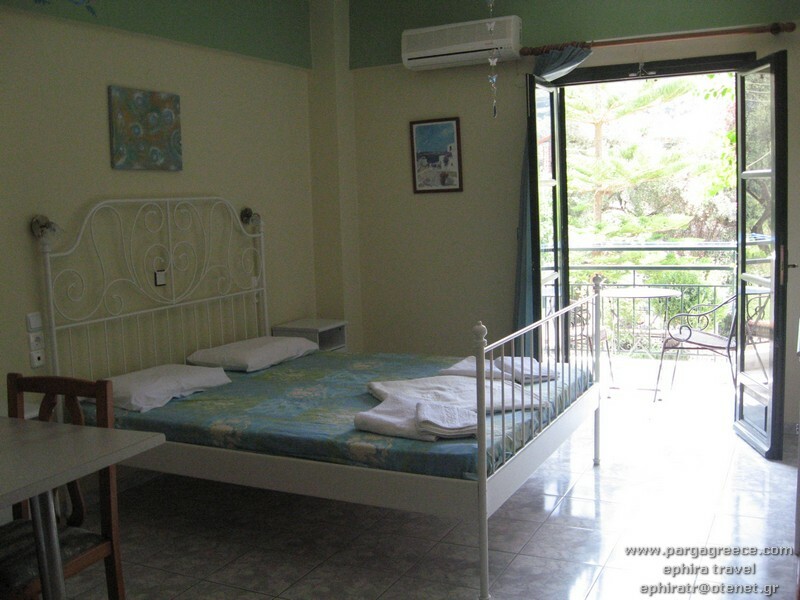 All Studios can accommodate 2 or 3 persons (family of 3 persons).The views from rooms look over the lush green hillsides of Parga (some rooms have sea view (in the far end) or pool view). 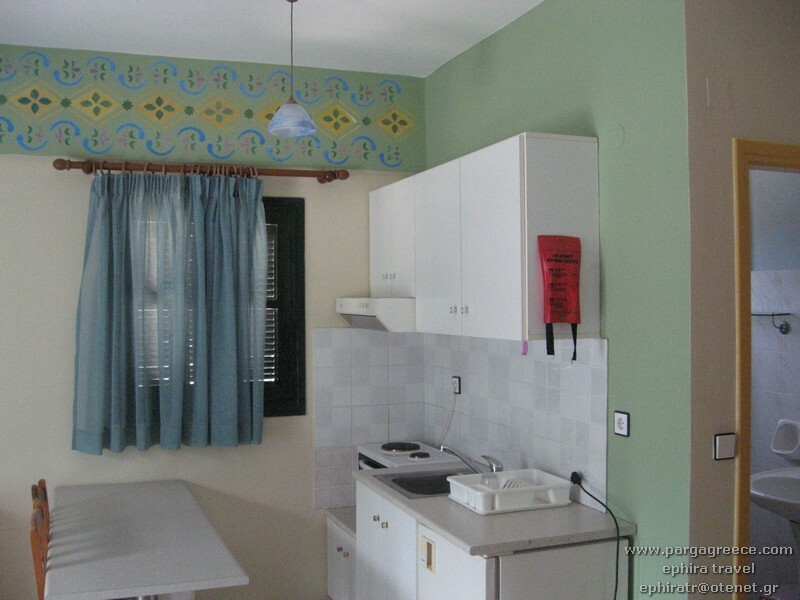 Since 2015,This small family residence offer 4 simple Studios in Basement (without balcony) ,also with private bathroom,television ,Cel faun,Kitchenette,for guests they are looking for a simple Studio with a reasonable price and use of the swiming pool of the residence. 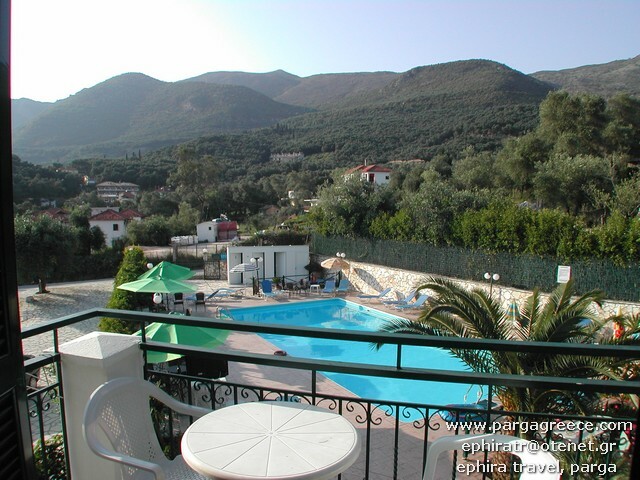 The Residence offer a nice swimming pool with a pool bar and some evenings ,the owner (who is a musician person) organize some nice evenings with life and relaxing music. 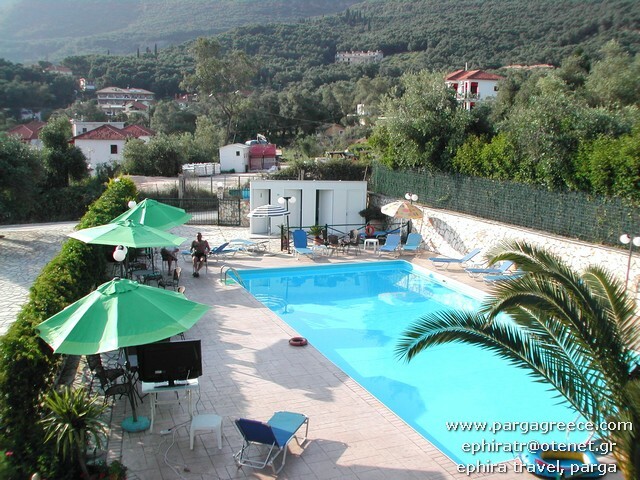 The residence offer to all guests ,except the swimming pool ,as well, small gardens, parking for the cars, reception, Internet (Wi-Fi) , Poll bar and also chairs and umbrellas (Free of charge) in the swimming pool. 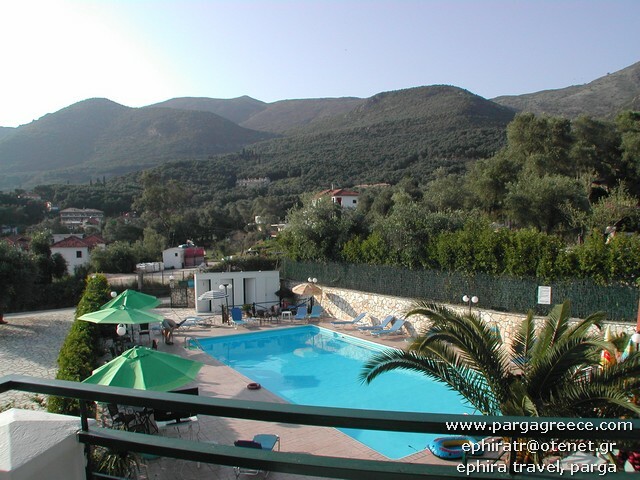 Close by, there are a few taverns, mini markets and bakery. 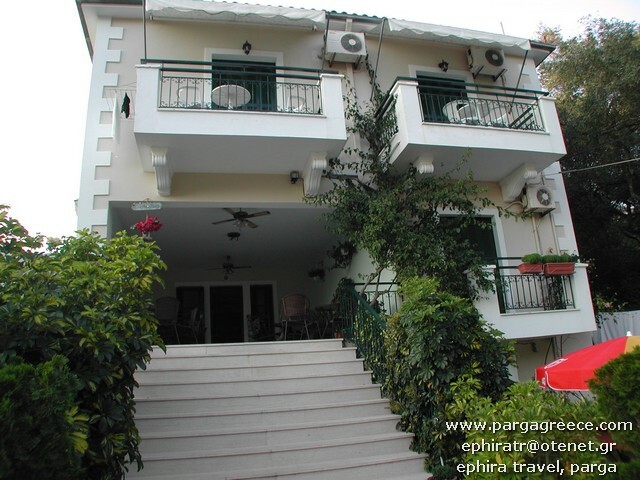 This is a small family residence ,in a quiet spot in Parga and recommended for those they prefer a nice and quiet and relaxing holiday. 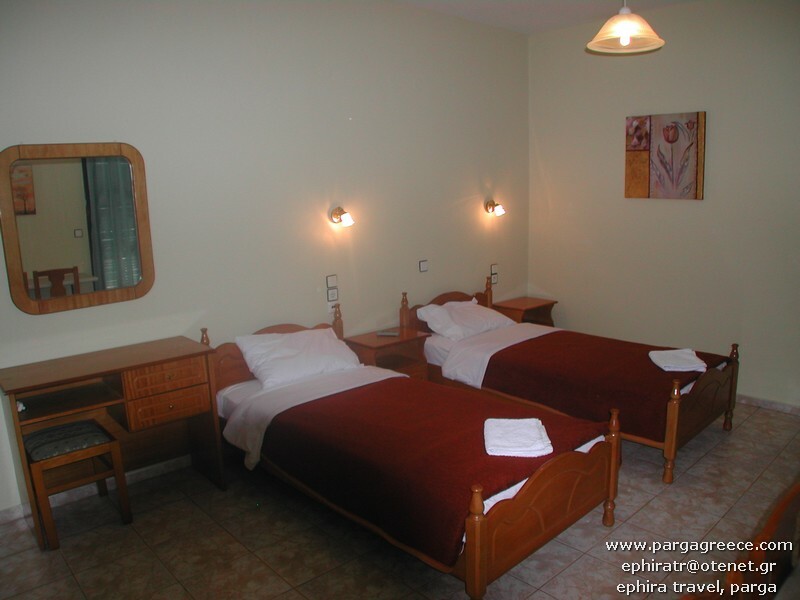 There is also the possibility to have breakfast in this small family and friendly resort and you can Book and pay in Advance OR you order and pay locally.